Well hello again! I’m now halfway through the first draft of the script, for the November workshop. It’s been a while since my last blog and I’ve had to make a few decisions along the way. Firstly I considered the musical language of the piece to reflect the time period as well as the style and the Scottish and American Influence in Carnegie’s life. 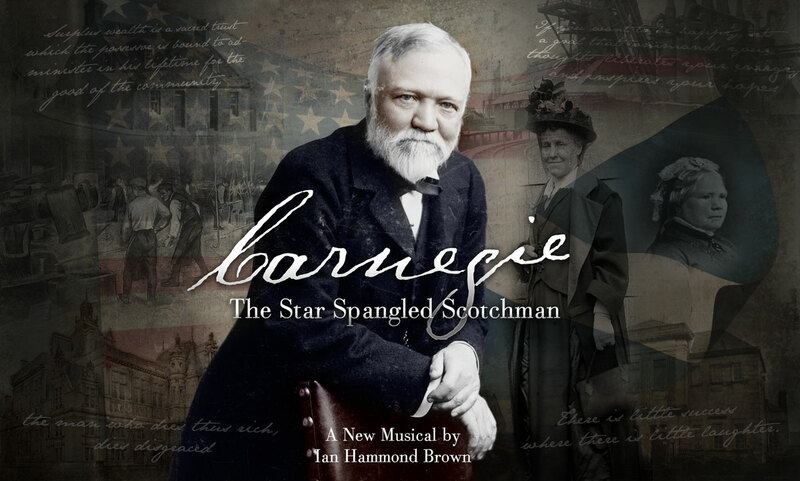 Luckily I was kindly pointed in the direction of a piece of music which was written for Carnegie’s return to Scotland in 1862 by J Scott and I hope this will appear in the show. The next choice to be made was how to tell the whole story and be able to move about within this to different points in Carnegie’s lifetime. For this I’ve employed the use of a narrator who will guide the audience through the story. I won’t give away how he fits into the story at this stage though! I’ve also been fortunate enough to get a great director on board, Kath Burlinson, and 4 excellent actors to play the 4 main characters. I’m looking forward to working with them and an ensemble of community performers in November.